Interested in a guitar under $300? The good news is there are great inexpensive brand name electric guitar packages that are quite affordable. 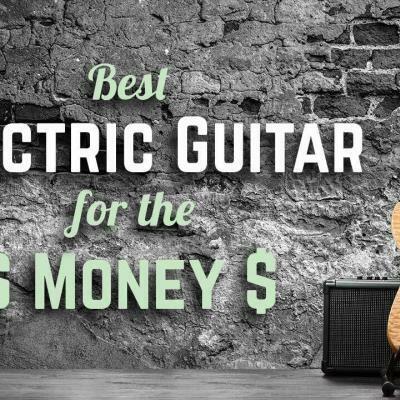 When buying an inexpensive electric guitar, particularly on a budget, there are some other factors to keep in mind. It’s not enough that the electric guitar you find simply fits your budget, you should also look at the quality of the instrument as well as how it looks and feels when you play it. What about the sound or tone? 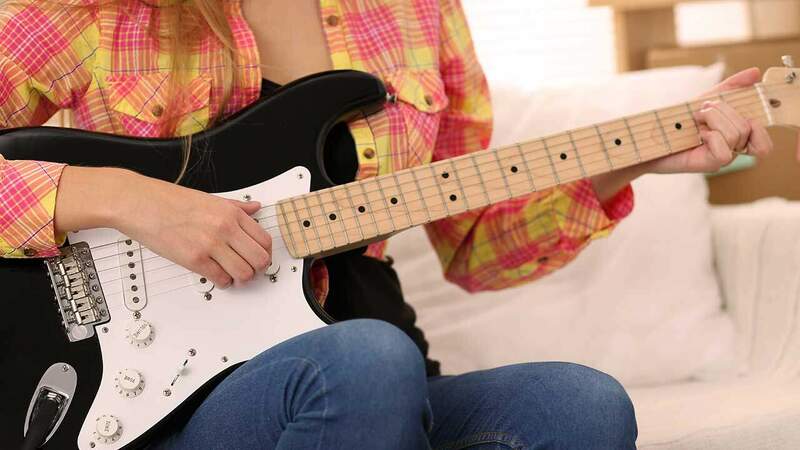 The tone produced by an electric guitar is due to several things, among them is the kind of pickup it has combined with the type of wood the guitar’s made of. For those who are just learning how to play and are just purchasing for personal use, you might want to skip investing guitars that cost hundreds, or thousands of dollars, just because the pedigree attests that they sound fantastic. It may sound obvious, but you probably won’t have an ear developed enough to tell the difference – yet. 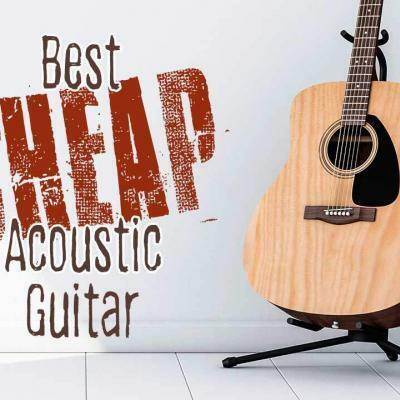 This can save you money but it doesn’t mean that you should buy just any guitar. You still have to make sure that the guitar can be tuned and that it produces a decent sound. 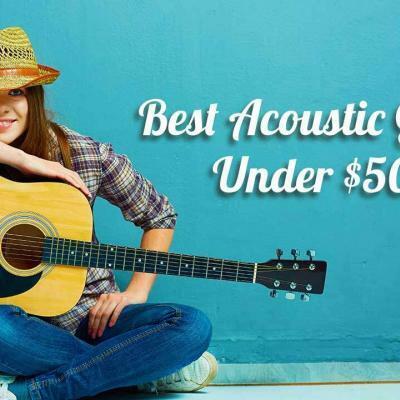 Finding the right guitar under $300 that fits your needs will help you enjoy your serious musical efforts, even if you’re just practicing. You should look into the specific wood that the guitar is made of. Lower priced guitars may produce a tighter, brighter tone as compared to more expensive instruments known for producing a richer pallet. As mentioned, it’s not just the wood that determines the overall tone, the pickups used greatly affect the sound you hear. If the guitar has a single coil pickup, expect to have a cleaner tone. On the other hand, humbucker pickups offer tones with less interference or electronic buzzing. Fortunately, it’s possible to change the pickups if you’re not satisfied with them, but the extra parts and labor come at a price. How the guitar feels when you hold it or how comfortable you are while playing it should also be considered when buying. Electric guitars come in a variety of shapes and sizes. Thicknesses of the necks also vary, which can make or break the enjoyment factor. That’s why it’s best if you can try to hold the guitar at a local guitar store before buying. The appearance or cosmetic elements of the electric guitar should also be considered. Although this is personal, you would certainly be happier if your guitar matches your style. Electric guitars come in a variety of colors and stylistic finishes. There are also some that have different shapes that not only affect the comfort while using it, but also its overall appearance. 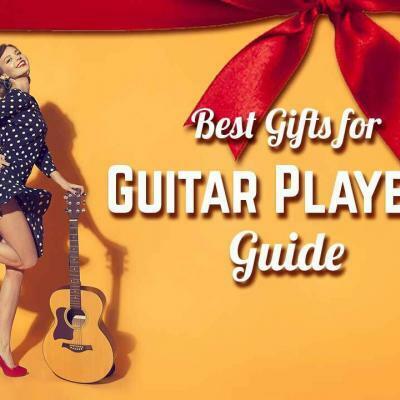 Guitars come in a variety of shapes, sizes, colors, and designs to attract you to buy them. Although one guitar may look flawless and beautiful, it is still important to consider how they play over how they look. Guitars are meant to be played and not just displayed. 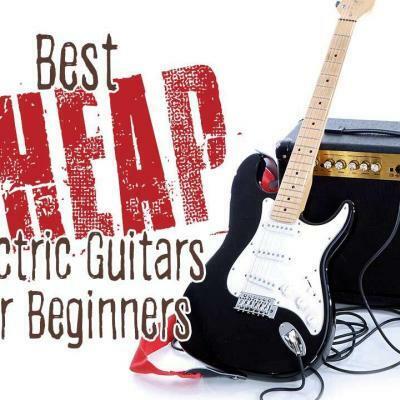 In order to save some money on the purchase of an electric guitar, some may decide to purchase a used one. It’s risky to buy a used electric guitar or any other item that was previously used. Although some deals are great, some may also be too good to be true. When looking for used guitars to purchase, you have to be sure about the quality. The description may sound good, but sometimes it really isn’t. You also have to consider the price of the parts that you may need to replace. 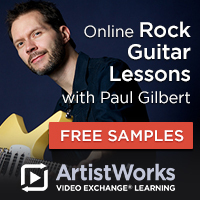 Compare the overall cost of a used guitar plus the parts you need to replace with the price of a new guitar. Ultimately it’s up to you how comfortable you are in spending your money, and your time, sourcing out a great deal. 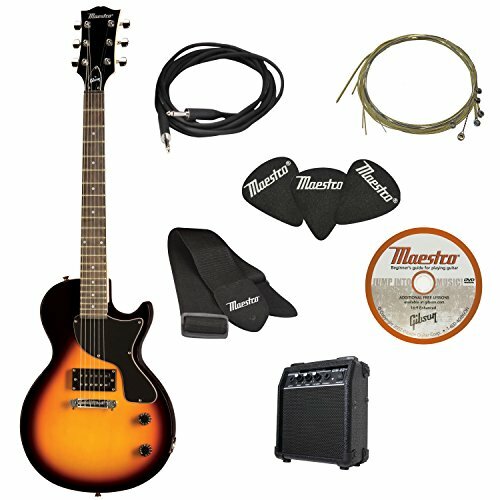 The Epiphone Les Paul Electric Guitar Player Package comes complete with the guitar and accessories that you need to play. 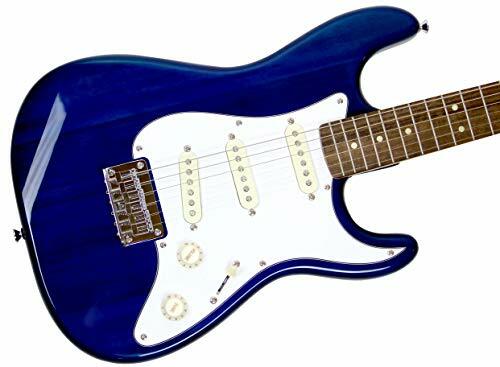 This is the best electric guitar under $300 for those who want a guitar package from one of the well-known brands in producing fine electric guitars. With the single coil pickup, the tone produced and amplified is buzz free. It also enables you to have a clean tone or to have it in overdrive. 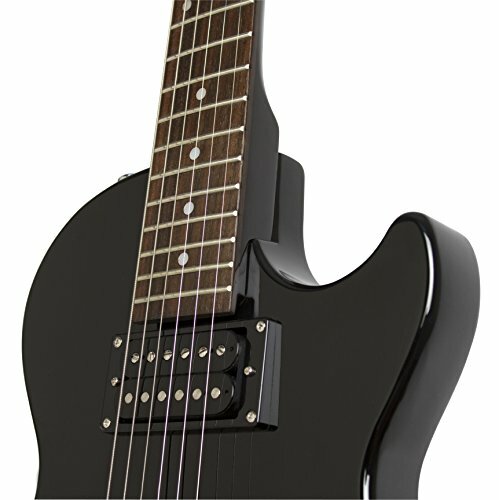 The rosewood fingerboard, which has dot inlays, is bolted on the durable maple neck. It has the classic Les Paul signature on the headstock for that appealing look. Included in the set is the 10-watt amp that beginners as well as more experienced guitar players can use. 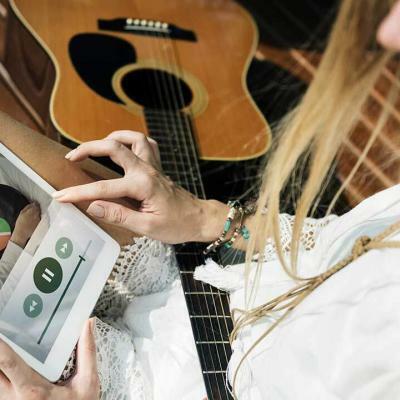 It also includes an easy-to-use chromatic tuner that easily helps keep the guitar in tune. It is a Fender guitar, and it has the look and feel of a real Strat. The biggest difference is its size. 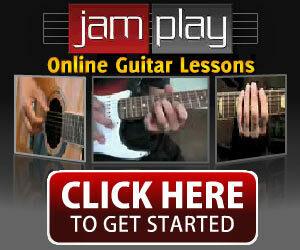 This is a guitar that is ideal for beginners or anyone who has smaller hands. This guitar comes out of the box with low action. This means that the strings are rather high off the fret board, so you have to press down harder on them in order to get a sound. This can be not only difficult for beginners, but also pretty painful, because they are not used to having to grip and press so hard. While it is not uncommon to see girls playing the guitar these days, in the past, it was often something that was scoffed at, and even if they had any skills, they would hear, “You’re pretty good, for a girl!” Also available in Olympic White and standard Black versions, there will be something for everyone, no matter what their color preference. What Do Squier Short Scale Stratocaster Bundle Users Think? If you want to play a Gibson or a Fender guitar, many people think that they can’t have a quality guitar from either of these manufacturers without having a ton of money. If this is what you’ve been thinking, it’s time to think again. 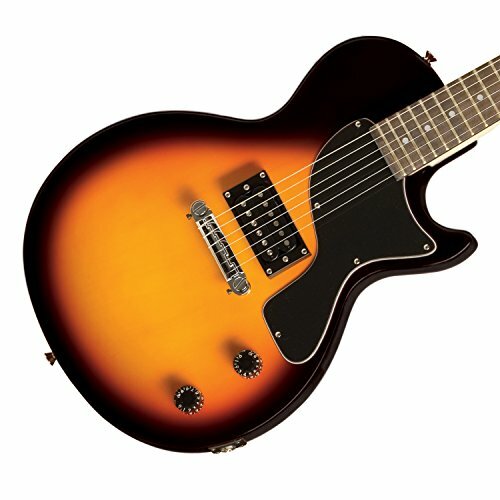 Both manufacturers offer great quality, entry-level guitars, including the Maestro by Gibson. 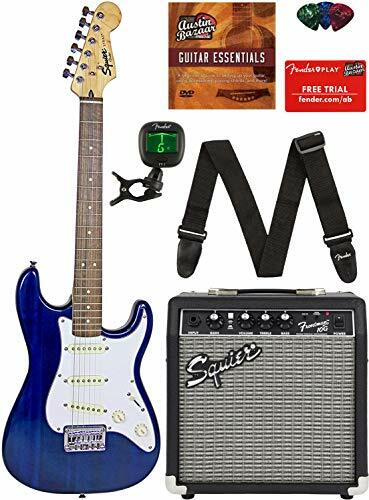 This electric guitar comes with a starter package, so you have everything you need to start playing right away. This is a single cutaway guitar that’s similar in design to the early Les Paul body style Gibson guitars that are so sought-after. The classic design lets you play comfortably, both while sitting and standing. It also offers a signature tone for those who wants to play rock and roll. 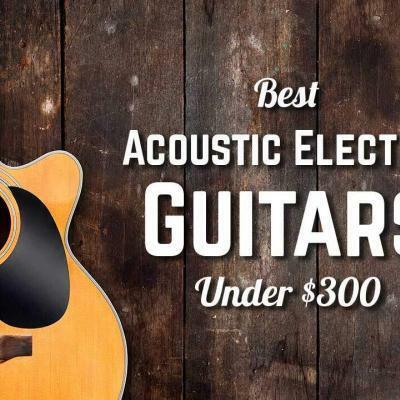 The three electric guitars reviewed here are all great for starting out under $300. 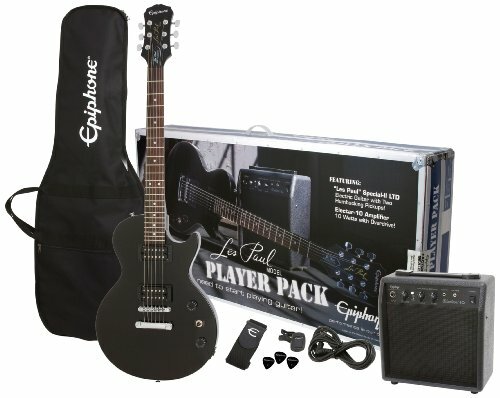 But if you are looking for a particularly good value, the Epiphone Les Paul Electric Player Package would be our recommendation. 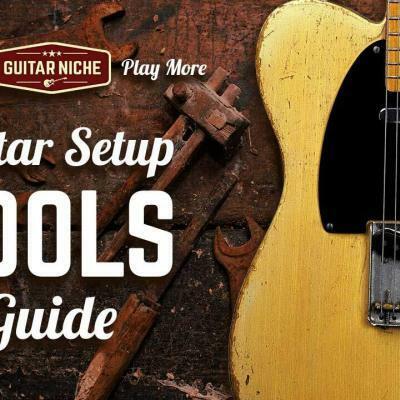 It has a better tuner that can easily be used even by beginners. It holds a tune better so that you won’t have to tune it all the time. It may require a proper setup at first, but when you’ve successfully made the adjustments, it’ll sound and play wonderful.